Most people my age probably remember seeing our parents carry out cash transactions on a regular – or even exclusive – basis. I used to watch my dad stop the gas pump at $10.00 to the penny and then have him hand me a 10 dollar bill to run into the gas station. I watched my parents pay cash for everything from groceries, clothing, furniture and even utility bills. On occasion, they used checks, but I do not think they had a credit card until I was in high school. And when I was finally old enough to handle my own money, counting out nickels at a rummage sale in order to buy a matchbox car helped to teach the value of a dollar. This is not the experience of my children’s generation or even the generation who is quite a bit older than her. We live in a time when it is possible to limit one’s concept of money to only how it is represented by credit cards, debit cards, gift cards and paying for things with the click of a mouse. A cashless economy can make it seem as if money is not a concrete substance, as if it is as plentiful to dirt or water or air with no real consequence for wasting a bit of it now and then. If we are not careful, money that seems as if it comes out of the air will be spent as if it grows on trees because, just as my daughter noted – using plastic does not feel like spending money. Even for those of us who have lived in a cash-based economy, the credit card becomes a painless tool for acquiring stuff. And this painless purchasing brings to mind the proverbial metaphor of the boiling frog. As I mentioned last week, one solution is to completely cut out the use of credit – but this solution is about as useful as advocating for starvation as a way to lose weight. While a credit card fast can be a useful tool, cutting up and cutting out credit cards permanently is not practical in the long run. Credit cards are a reality of our world – no one (except those riding a scooter) can fill up a gas tank with a 10 or 20 dollar bill. Nowadays, it takes $60 to $70 to fill up the tank of our family vehicle and carrying that much cash on a daily basis is not going to happen. Furthermore, credit cards are essential for so many necessities of life: emergencies, while traveling, car rental, airline purchases and more. Credit cards are great for keeping track of spending, they create a record of purchases and in many cases, provide rewards for purchases in a way that cash never could. One of the perks of credit cards that I have found especially useful is 0% APR balance transfers.Plastic also provides a way for company employees to make purchases on behalf of their company without the inconvenience of checks or the moral hazards of cash. I don’t think we will ever get away from using credit . . . there might still be some people out there who live “cash-only” lives . . . But I am not sure that I have run across one in quite some time. The goal is to change our perspective: to make spending with a credit card just as traumatic as taking a bill out of one’s purse or wallet, to make paying credit card interest or late fees to feel just as uncomfortable as applying a lighter to a wad of cash. In order to get a handle on credit card we must understand that using a credit card results in real money coming out of our pockets. 1. Limit credit card usage to only a few essential budget categories that remain relatively constant from month to month such as gas and groceries. For entertainment, out to eat and clothing, cash must be used – or else you cannot make those purchases. 2. Every time you start to use your credit card to pay for something, you MUST text your spouse or someone else who can provide frugal peer pressure if possible. 3. Every month, go through your credit card statement and attempt to reconcile every transaction to a budget category. In most cases, you likely have purchases that are outside of or in excess of a particular budget line item. Resolve to never let it happen. 4. Pay off your credit card balance in full every month. If you cannot do so in a particular month, you must place your credit card in a bowl of water and put it in the freezer for a week or month or until the balance is zero. 5. Every time you go to use your credit card, you must do 25 push-ups. There are other ways . . . figure out something that works for you and commit to it. It is especially important that we teach our children to use money responsibly, even though our money does not really look or feel like money any more. Money clips no longer hold cash and new technology is going to make spending money even more easier than using plastic, therefore, if you struggle with your finances, any habit that you can institute to impede or inconvenience swiping is going to be a important skill. Is your store-branded credit card worth the hassle? This story reminds me of a similar account, one I had with my daughter when she was around eleven or twelve. We were discussing the pros and cons of credit cards and how they worked and she asked me when you make a charge purchase do you pay the money back!! I was rather speechless and said to her that do you think the CC companies are giving the merchandise for free? Well, she is an adult now, in grad school, and I am more worried over her student loan debt and wondering if she will find a job in her chosen field. She has been taught over and over again not to satisfy her immediate wants and to not get caught in the trap of credit card debt along with the student loan debt. She is hard headed and of course, nothing I say will matter but one day she will wake up and realize that life is tough and you make your own way. Yes, credit cards are a necessary evil in today’s world and in some people’s hands, they are lethal. I only use them for large purchases (the cash back feature does add up) and pay off immediately, in full, when due. Aside from that , I still use checks and my debit card for other expenses. Hubby and I are retired now and a good feeling to know we have no other debts other than a small mortgage. If I can give any advice to anyone—buy what you can afford in the present and leave the plastic alone unless absolutely necessary. We have not completely cut our credit cards up, but after attending Financial Peace University we’ve completely changed the way we use them. And cash is a reality of our lives now. Dave Ramsey teaches a Cash Envelope system and now we pay cash for groceries, clothing, dog food, entertainment, and other non essentials (petty cash). He does preach against credit cards and not having one at ALL but we’ve decided against that. We use our credit card to pay automatically for our cable/internet/phone and cell phones, which we budget for and have cut down in the last year. Then it gets paid off 100%. We earn points towards gift cards and paying those static bills (and medical expenses which we then get reimbursed through our FSA) add up to some great free gift cards. Using cash is much more painful. Handing over the last of the grocery money until payday was a huge eye opener this last Monday. Hubby gets paid next Monday and until then there is no more cash for groceries. Thankfully we’ve got a fully stocked pantry and plenty of milk but it’s still an eye opener. We have to make due with what we have. And going to the grocery store is a new experience now. I can’t just throw something into the cart. I need to think about whether we will have enough cash to pay for everything – not just that trip but on future trips. I do believe it’s possible to go entirely credit card free and Ramsey talks about that in his class. We just did not deem it practical for our family. megscole64 – I probably need to refresh myself about what Ramsey says when it comes to going completely credit card-free. I imagine that he allows for debit cards, right? Like you, constant trips to the bank for cash, carrying large amounts of cash on one’s person and the fact that there are some businesses that only take credit cards all motivate me to figure out how to use my card responsibly . . . The strategy of removing credit cards completely is a little like blaming guns for murder or alcohol for drunkenness – it does not get to the heart of the matter. I remember my mom paying with checks a lot. And somehow I understood that it’s really money — maybe because a check is paper just like real money, and so the connection was easier to make. Anytime I whip out my credit card I try to imagine the cash in my hand. Am I willing to hand over this much cash for this purchase? I almost always put stuff away. I didn’t learn about cash vs credit until I was in my teens, and then I listened to the advice of my older friends when they say to save up. Now, the only time I really use my card is for gas. I agree Stew that credit cards are definitely a double edged sword. People often seem to have a different relationship to their credit cards then to the money in their wallet. I think it’s entirely possible to live without credit cards. In fact, I think it’s necessary. 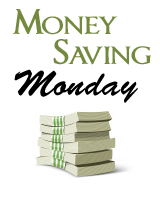 The advice among credit card advocates is always to pay it off at the end of each month. Of course everyone has this intention but according to a Fox Business report in 2010 45% of Americans only pay the minimum payments on their cards. The Huffington Post says that 70% of card holders carry a balance for more than 30 days. The truth is that as a large majority, our culture doesn’t use credit cards responsibly. No one intends on getting into credit card debt. It starts out slowly with a convenience purchase here or there, or maybe a special 0% offer. But eventually something happens where you can’t pay the bill in full. Let’s say you use a card to pay all of your monthly expenses and then at the end of the month lose your job. Do you think the next month you’ll pay off the $1,800+ bill, or will you just make the $54 payment? Of course you’re going to hang on to your cash. Boom, instant credit card debt! Instead if you use the cash/debit card for your daily purchases and catastrophe strikes you won’t have any added debts to worry about. Just dip into your emergency account until you’re back on your feet. A debit card provides the same benefits as a credit card without the risk of debt. 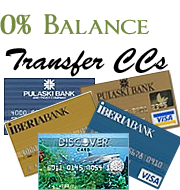 You can use a debit card for hotels, car rentals and any other reservation and purchase. There are even some out there that offer reward points and they track just as easily as credit cards. I have always operated on the notion that I will only use my credit card to pay for something if I can pay my balance off in full at the end of the month. If you can pay the balance at the end of the month, then you need to really think about if you can afford the purchase. I am not buying this “pay it off at the end of the month” thing that society has taught us to do when it comes to using credit cards. That is advice that bankers give so they can make more money. They make 2.75% off each purchase you make using that card and the vendor passes that on to you. Just like society taught us over the past 30 yrs that debt is good (taking on a mortgage) and can be used to leverage the purchase of more debt (buy that rental property even when you have a mortg on your 1st home). UGH! I say if you cannot pay off the card w/in 48 hr of the purchase, you cannot afford it. Charging an expense for the rewards is like keeping a mortgage for the tax deduction. I’ve challenged everyone I know to go 7 days using cash/debit card for everything. Almost always, they cannot do it. If this is what you call weird then I love being weird. For me, I think it boils down to having a budget and trying best to stick to it and carrying a debit card instead. You spend what you have and once thats done you have to stop. Forces you to be cautious and disciplined in your spending, just like carrying cash! No. I could not have saved $20 at the grocery store by paying in cash. I could not have brought down my rent payment by paying in cash (in fact there’s a penalty fee for paying in cash because they management company doesn’t want to have to carry that much money to the bank). I could not save money by paying my cell phone bill, my gas purchases, and my wifes college tuition in cash. I don’t want to frequently carry that much money around, and why not get a couple free reward flights a year? Credit cards also provide more consumer and identity theft protection than debit cards do. Using credit cards to buy things when you are financially disciplined is great. Not only can you keep track of your spending, but if you have good enough credit to get a rewards card, you can even make money by using credit. But the temptation is too great for most people out there and it is just too easy to get caught up in debt by using them. Very good point there. If we look at credit card and cash in the same way when spending them is a great suggestion especially for those who are struggling with their debts. I lived on cash only from the time I started working up to around 5 years after that. It was only when I realized that in this digital age, most purchases are better off done online, that I decided to get a credit card. I’ve had no problems even today. I just make sure that I only use my card up to a certain amount, then leave the rest to cash payments. Works for me. I think it’s becoming harder to live purely on cash. Personally I use a credit card BUT I always pay the balance at the end of each month, using a direct debit from my current account. It’s a cash back credit card and I’ve used it for 7 years without paying a penny of interest. I like to get money out of credit card companies and I figure that they can pay me for the privilege of using their card! My approach is a simple one. If I can’t afford it I won’t buy it. (Other than a mortgage on a house!) Really interesting article. It all comes down to educating children early on about handling finances God’s way so as they grow older they will not depart from it. My daughter spends a one hour period per day being taught how to pass the state tests. That hour a day could be used for practical life applications in the financial realm. Personal Finance should be a standard subject for all kids of all ages. Great Post! When I use my credit card I normally come home and then pay the balance right away. If I know I cannot pay the balance then I do not use the card. This way I can keep the rewards that I get from the card but still … with a bit more effort … use it as if it was a debit card. Lol. Number 5 is hilarious. Thanks for this post. I find that only making a purchase with a credit card only when you already have the money in the bank and then paying off the card every two weeks works well.